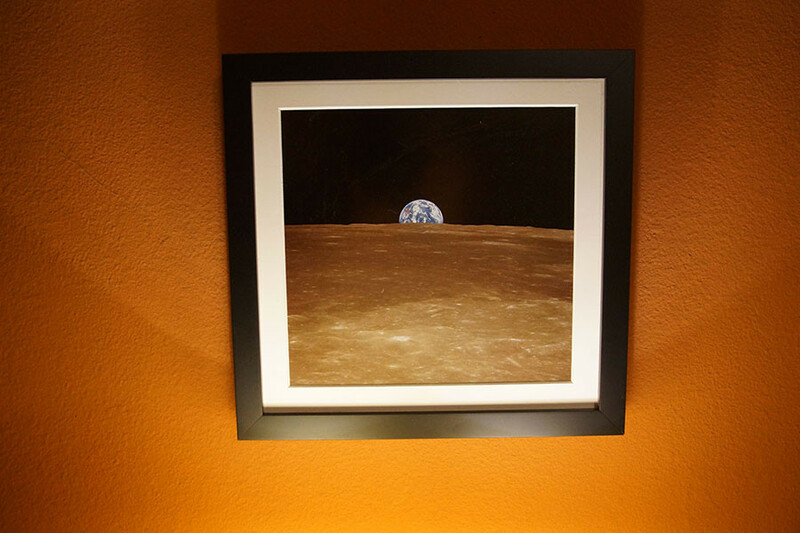 I've always wanted to style my house with my favorite NASA photos. This collection is the result of this dream. 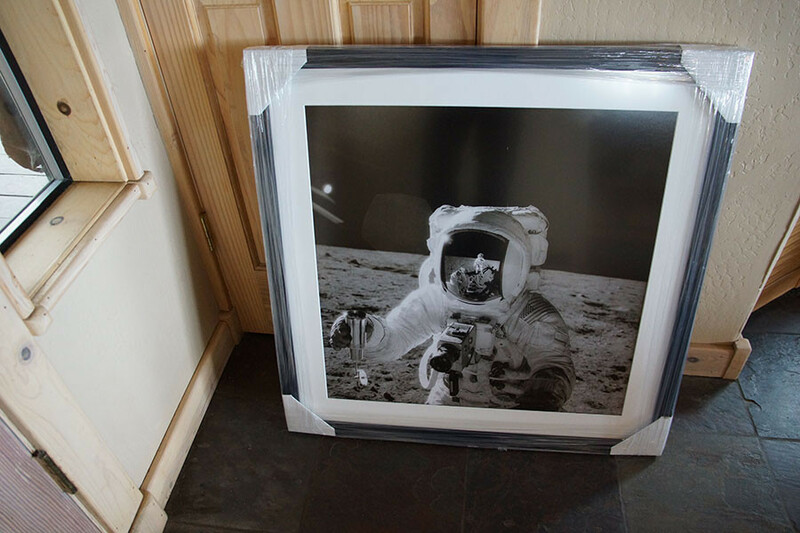 All of these high quality prints come framed and ready to hang in gallery-quality frames. 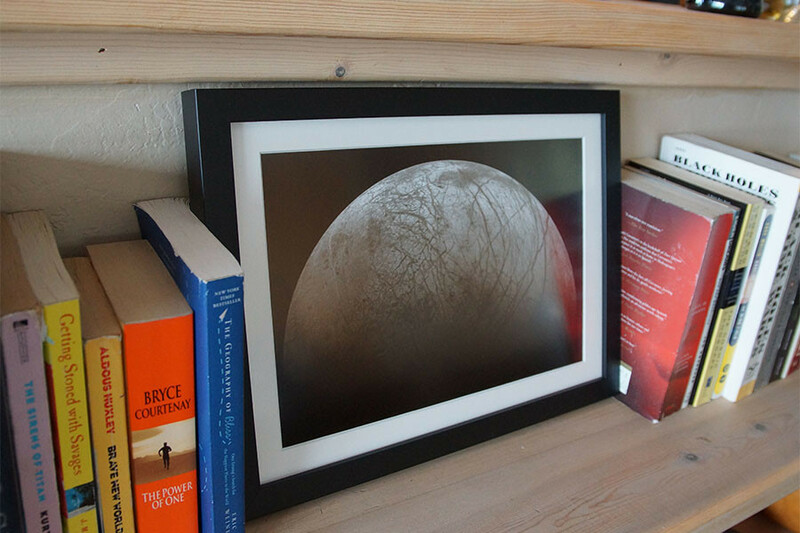 Decorate your walls with inspiring imagery of our solar system. As a sci-fi fanatic, there is nothing more inspiring to me than artwork depicting our cosmic neighbors and our efforts as a species to reach them. 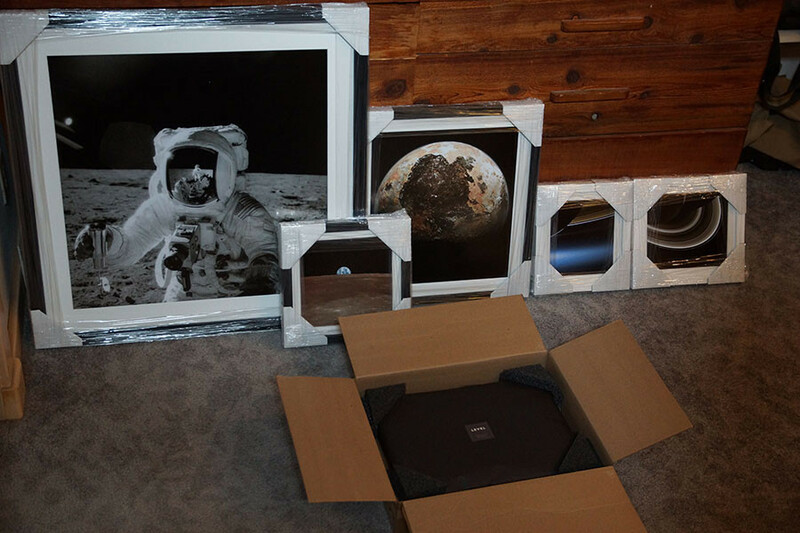 I've always dreamt of styling my house with inspiring space art, and as a founder of a framing startup I finally made this dream a reality. 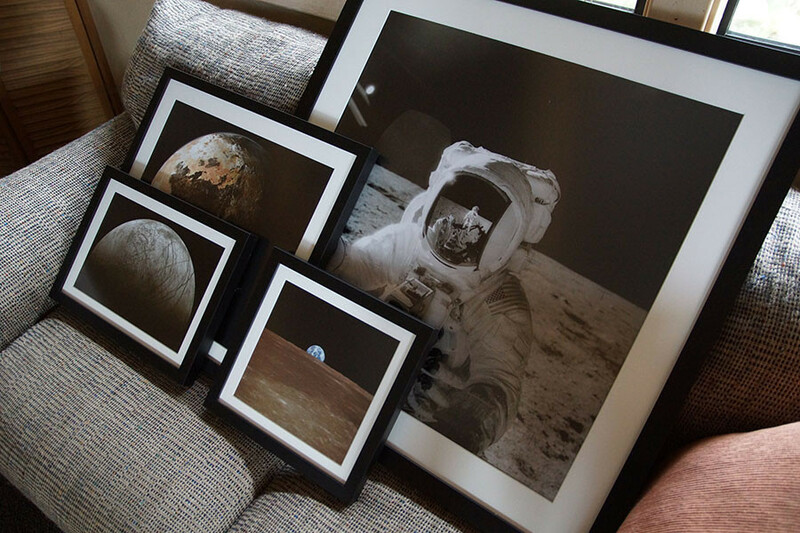 In case anyone else shares this dream, I took the six stunning NASA images and curated a collection that is available for sale as a whole and as individual framed prints. I unboxed Lunar Soil Sample first, the biggest one in the bunch. 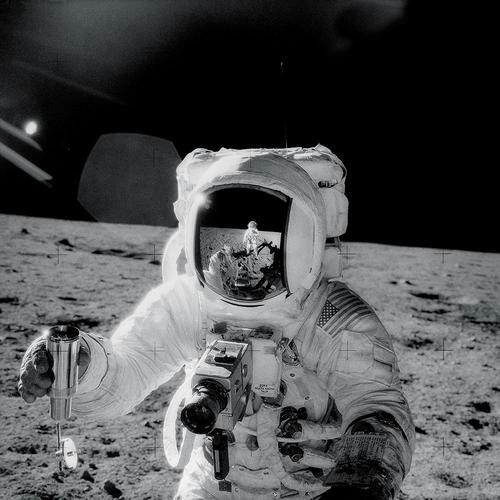 This is Apollo 12 astronaut Alan Bean on the surface of the moon. Pete Conrad is reflected in Bean's visor. I ordered this as a 24" x 24" print with a 2.5" mat. The wall space I had in mind for this big one was an empty wall over my bed. Before unboxing any more I decided to move them to a carpeted floor. I didn't want to scratch the wood finish once I removed the protective corner pieces. Above: The five prints shown are Lunar Soil Sample, Earth From The Moon, A Vision of Pluto, The Day The Earth Smiled, and Shadows and Rings. 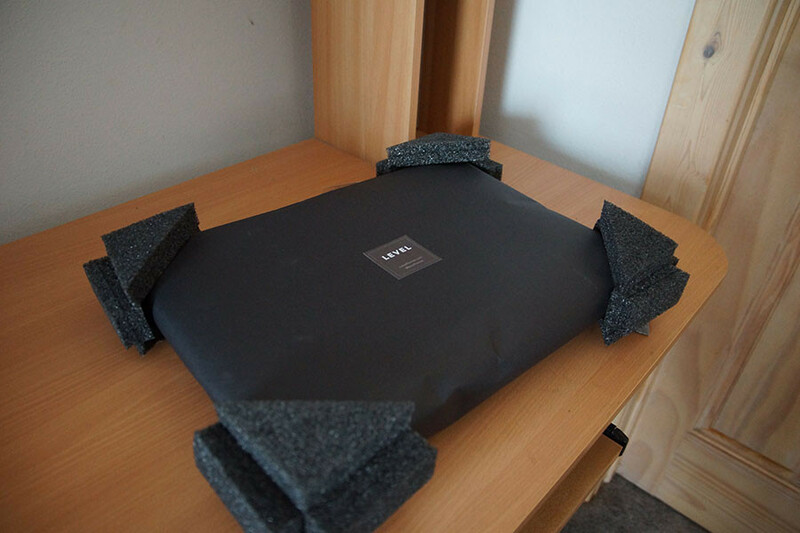 Above: the black framed prints together and unwrapped. 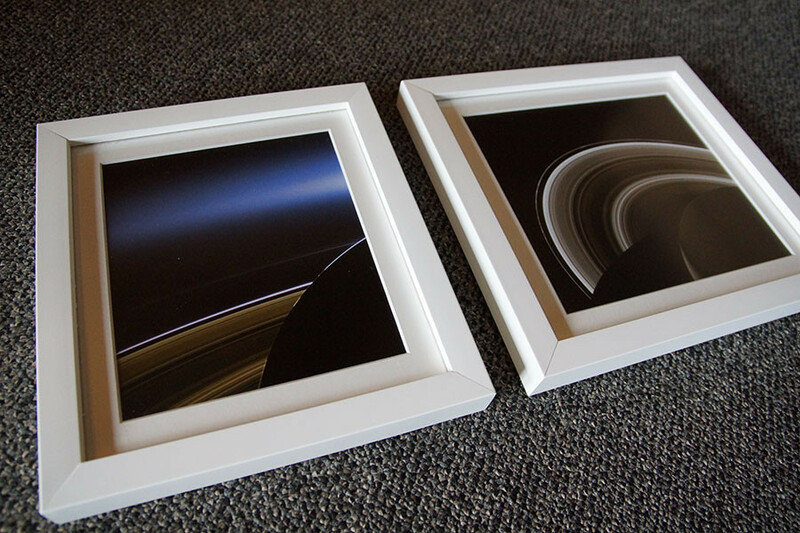 I used white maple frames for the two saturn prints to differentiate them a little. 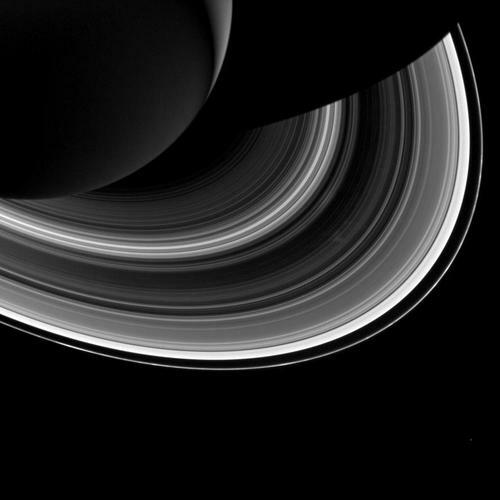 These are gorgeous photos taken by the Cassini spacecraft. The print on the left (The Day the Earth Smiled) is only the third time that Earth has been imaged from the outer solar system. 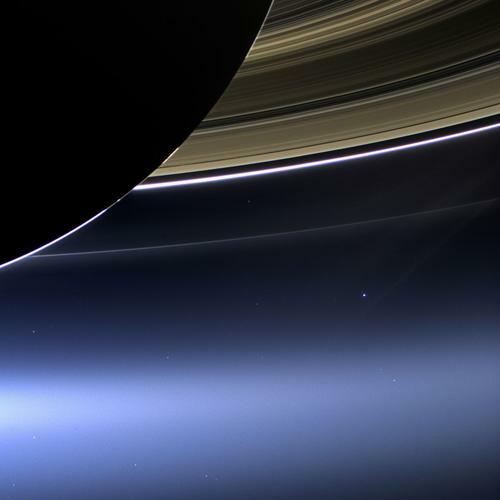 Earth can be seen as a little blue dot near the rings. 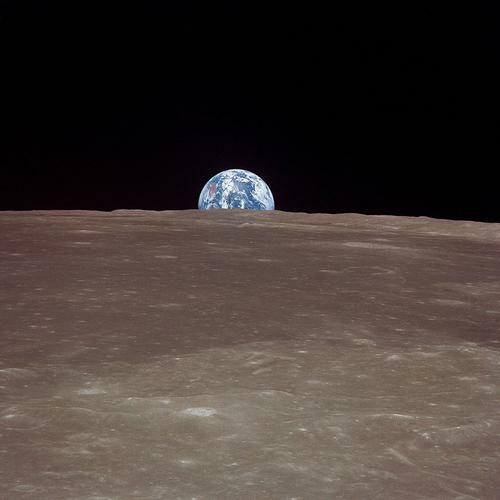 This photo marked the first time that people of Earth knew we were being imaged. The print on the right Shadows and Rings) depicts the interplay of Saturn's shadows and rings. Mimas, a moon of Saturn, appears in the lower-right corner of the image. The prints have different widths but the same height, so they look good next to each other on a wall. I started with my bedroom. 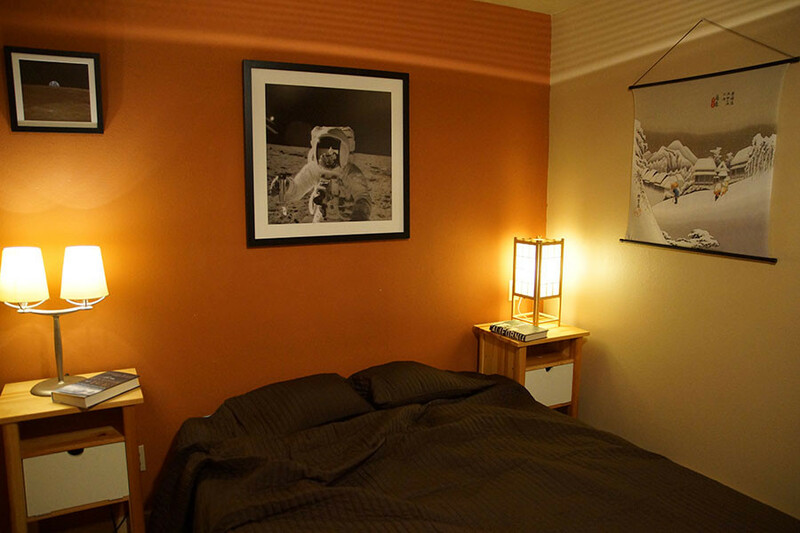 I have a big blank orange wall behind my bed and I decided to put Earth From The Moon and Lunar Soil Sample on this wall. I really like the lighting effect of my bedside lamp beneath Earth From The Moon. 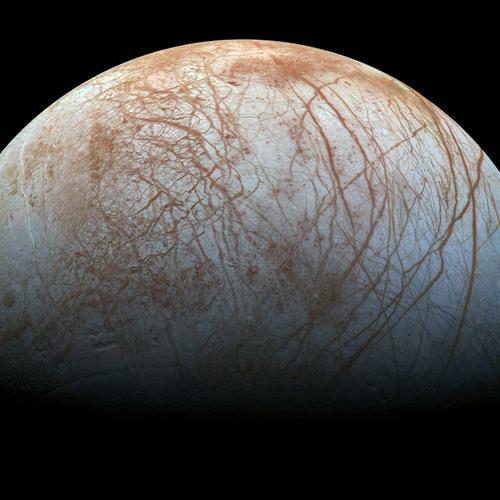 Europa, one of the moons of Jupiter, is thought to be the most likely candidate in our solar system to harbor life. This image was taken by NASA's Galileo spacecraft and depicts the cracks and patterns of its puzzling icy crust. I did something different with this print and put it on the living room bookshelf, rather than hanging it on a wall. I had this printed in black and white, but the color version is also very nice. The color version has vibrant reddish tones on the surface. 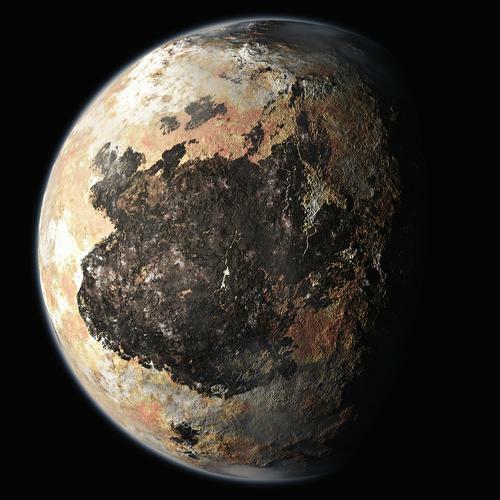 "Anyone who sits on top of the largest hydrogen-oxygen fueled system in the world, knowing they're going to light the bottom, and doesn't get a little worried, does not fully understand the situation." - John Young, after being asked if he was nervous about making the first Space Shuttle flight in 1981.